Boxstorm customers may schedule training by emailing support at support@boxstorm.com. In your email, please include a list of questions you have regarding Boxstorm, as well as the preferred date and time of training. If you need to reset your Boxstorm password for any reason, you can do so by clicking the Forgot Password? link on the Boxstorm Login screen. We recommend downloading a sample CSV file to see how to correctly format the file so it can be imported. Please see Import Items using a CSV file for additional step-by-step instructions. Additional information can be found on the Create an Item (reorder points) and Purchase Orders pages. 3. 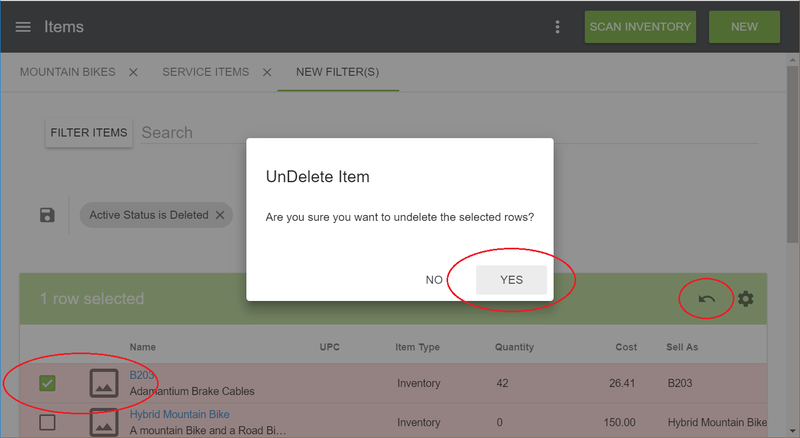 Check the box next to the items you wish to undelete, then click the Undelete Selected Rows icon and click Yes to confirm. In the Items Module, select the Inventory Icon on the far right side of the line item of interest. A list of inventory items by location will appear in the popup box. 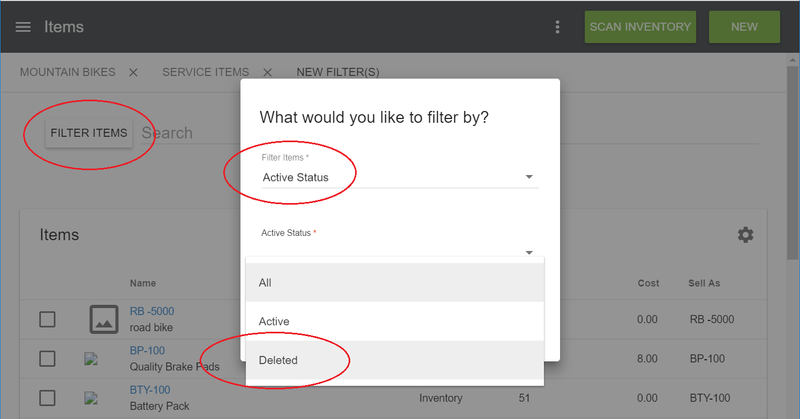 Select the location to modify and you will be able to choose: Add, Remove, Cycle, Adjust Cost or Move Inventory. For additional detailed instructions, please view Adjusting Inventory for an Item. In addition to the Web app, Boxstorm also offers apps for iOS and Android. The mobile apps do not offer the complete set of features found in the Web app. For example, unlike the Web app, the iOS and Android apps cannot create sales orders or purchase orders. The current purpose of the mobile apps is to look up items, see quantities, and edit items. In the future, the mobile apps will have a more complete set of features, such as creating sales and purchase orders. Currently, the Boxstorm iOS and Android mobile apps do not support 2D barcodes. Support for 2D barcodes will be included in future releases of the mobile apps.